Abraham H. Unruh: an outstanding Mennonite Brethren minister, teacher, and Bible expositor; born 5 April 1878 in village of Timir-Bulat, Crimea, South Russia, the son of Heinrich Benjamin Unruh and Elisabeth (Wall) Unruh, (a younger brother was Benjamin H. Unruh; see additional information for further information regarding Abraham's family). Abraham married Katharina Toews (1876-1963) and they had six children (two others died in infancy). Abraham died 15 January 1961 in Chilliwack, British Columbia. The funeral was held in the Mennonite Educational Institute auditorium in Clearbrook, BC, and he was buried in Chilliwack. Abraham's father died when he was only five. He was brought up by his uncle, Kornelius Unruh, a teacher who provided many educational opportunities for Abraham. He received his teacher's certificate at the age of 17 and began his teaching career in the elementary school of Menlertschik, 1895-1903. It was during this time that he married Katharina Toews. Unruh taught in both the Barvenkovo elementary school and Kommerzschule (business school), 1903-1915. It was here that most of the Unruhs' six children were born. In 1904, at the age of 26, he was ordained to the ministry. Following two years of Red Cross service, 1915-17, he moved back to Barvenkovo, but anti-German sentiment ran high, and so he moved his family back to the Crimea where he accepted the position of principal of the Zentralschule (secondary school) in Karassan. In 1920 Abraham was asked to join the new-founded Bible School in Tschongraw. He taught Bible in this school until it was forced by Soviet authorities to close in 1924. The closing of the school convinced him to migrate to Canada in January 1925. That fall, inspired by the Tschongraw experience, he rented several rooms in Winkler, Manitoba, and began a Bible school. He was soon joined by two other Tschongraw teachers, Gerhard Reimer and Johann G. Wiens. For 19 years Abraham led what became the Winkler Bible Institute, edited a small paper titled Die Antwort (The Answer), and preached in Mennonite communities both in Canada and the United States. He also had a concern for quality Sunday School materials and wrote many materials himself. Conference educational concerns soon led to the call for a school of higher education for Mennonite Brethren in Canada. In 1944 the Canadian Mennonite Brethren Conference established a new school in Winnipeg: Mennonite Brethren Bible College (later Concord College). Abraham Unruh was asked to be its first president. Concerned that the school needed a president who could relate more to English-speaking members of the Mennonite Brethren churches, he resigned after one year as president, though he continued as professor of biblical studies for 10 years. Upon retirement at age 76, Abraham had served the church for some 50 years. During his years of ministry Abraham wrote numerous books. Among them were: Die Mennonitische Bibelschule in Tschongraw, Eine Einleitung für die Lehrer der Sontagsschule; Leitfaden für den Religionsunterricht, Nikodemus, Gottes Wort als Wegweiser fuer die Gemeindezucht; Des Herrn Mahnung an die Gemeinde der Endzeit, Der ewige Sohn Gottes; Der Prophet Jesaja; Die Geschichte der Mennoniten-Brüdergemeinde. For additional writings see Nelson Springer and A. J. Klassen, compilers. Mennonite Bibliography, 1631-1961, vol. 2. Scottdale, PA, 1977: 512. In addition, see H. P. Toews, A. H. Unruh, DD: Lebensgeschichte 1878-1961. Winnipeg: The Christian Press, 1961. Ewert, David. Stalwart for the Truth: The Life and Legacy of A.H. Unruh. Winnipeg: Board of Christian Literature, 1975. GRANDMA (The Genealogical Registry and Database of Mennonite Ancestry) Database, 5.00 ed. Fresno, CA: California Mennonite Historical Society, 2006: #213418. Regehr, Peggy. "Abraham H. and Tina Unruh: A Granddaughter's Biography." Mennonite Brethren Historical Society Newsletter 2, no. 3 (1984): 1-4. Toews, John A. History of the Mennonite Brethren Church, ed. A. J. Klassen. Fresno, CA: Mennonite Brethren Board of Literature and Publication, 1975: index. Abraham’s parents were Heinrich Benjamin Unruh (24 May 1847, Waldheim, Molotschna, South Russia – 17 October 1883, Timir-Bulat, Crimea, South Russia) and Elisabeth Wall (24 May 1846, Schoensee, Molotschna, South Russia – November 1922, Tiege, Molotschna, South Russia). Abraham married Katharina Toews (8 October 1876, Klippenfeld, Molotschna, South Russia - 7 November 1963, Abbotsford, BC) on 19 September 1900 in Minlertschik, Crimea, South Russia. She was the daughter of Franz Johann Toews (19 December 1838, Elisabeththal, Molotschna, South Russia - 1899) and Elisabeth (Cornelsen) Toews (15 January 1844, Elisabeththal, Molotschna, South Russia - 19 February 1895). Abraham and Katharina had six children that lived to adulthood: Abraham, Johann, Katie, Victor, Heinrich, and Lydia. Reddig, Ken and Richard D. Thiessen. "Unruh, Abraham H. (1878-1961)." Global Anabaptist Mennonite Encyclopedia Online. May 2007. Web. 19 Apr 2019. http://gameo.org/index.php?title=Unruh,_Abraham_H._(1878-1961)&oldid=132461. Reddig, Ken and Richard D. Thiessen. (May 2007). 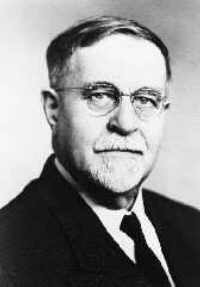 Unruh, Abraham H. (1878-1961). Global Anabaptist Mennonite Encyclopedia Online. Retrieved 19 April 2019, from http://gameo.org/index.php?title=Unruh,_Abraham_H._(1878-1961)&oldid=132461. Adapted by permission of Herald Press, Harrisonburg, Virginia, from Mennonite Encyclopedia, Vol. 5, p. 899. All rights reserved. This page was last modified on 27 July 2015, at 17:42.